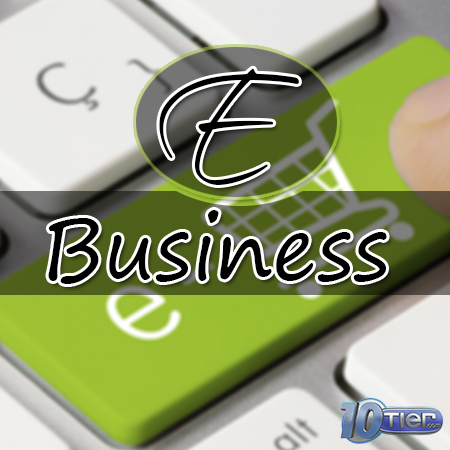 The 10Tier EBusiness System provides you everything you need to start and grow a business online. You can immediately partner with us and start your own Web Development & Digital Marketing Agency, or use your EBusiness to start generating income as an internet marketer, affiliate, or service provider. The possibilities are virtually limitless! Our EBusiness system will help you start and grow an online business, helping you generate income as an internet marketer, affiliate, or allow you to build your own service company. This is YOUR online marketing and business system. You are in full control! We take care of hosting your website, helping you build a great looking site, and if desired even assist you in integrating other paid programs like Google Adsense, Amazon Affiliate Program, and any other income producing systems you wish to integrate into YOUR site. For anyone looking to start their own Web Development & Digital Marketing Agency the 10Tier EBusiness System is for you. You can provide all of the services you want, or ‘sell’ our services as your own under your own company name. Best of all as a 10Tier.com Customer you have the opportunity to take part in our FREE Customer Referral Program. This is one of the best multi tier residual income opportunities offered online, and it can help you build a 6 figure+ income a year alone! If you’ve been thinking of starting your own business this system is for you. Web Development & Digital Marketing Agencies are in high demand, and as an EBusiness owner you will serve real businesses the services they need to succeed!